FC was formed in November 13th 2002, with the desire to make one of the best and most desirable Federation fleets in the Community. 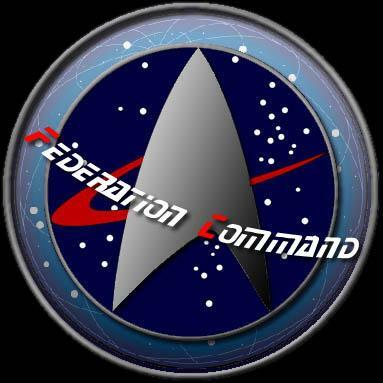 Federation Command supports all Star Trek Games, present and future. The clan came to an end in 2005 with the merger with the [FEDS] Clan creating the United Federation of Planets. 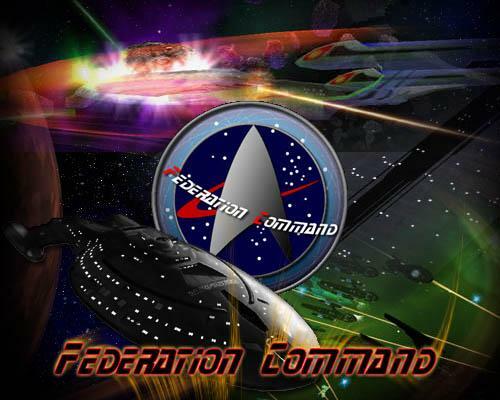 Federation Command Admiral's Council is a group of high ranked Officers chosen by the Fleet Admiral or by the Council. Their main duty is to report the status of the fleet and lead the fleet by voting about matters in council forums. Being a Council Member is the highest honor u can have in [FC]. Admirals lead the Fleet, they are all the Council Members. The Fleet Admiral leads and is the CO of the Clan. If the Council votes to Kick the Fleet Admiral out of the Clan. The next lower ranking Admiral will be promoted as the new CO of [FC]. Vice Admiral is the 3rd officer of the Fleet, his main duties are to supervise as the Chief of Divisions and is required to report each month about Activity, Training in Divisions. Rear Admiral is The Leader of Fleet Internal control. If you require a request please ask him. Division Admirals are the leaders of Divisions, they are required to do all things needed to improve the Division: Recruit, Train officers, elect CO's XO's and to submit to the Admirals Council those they feel deserve promotion or medals. In addition they are required to make regular reports to The Vice Admiral regarding their division activities, Battle Reports, Leadership and readiness. An New Rank in [FC] Division Junior Admiral is an Division Admiral In Training. Considered to be an elite player who either does not want a command position, or one is not available for him. He is a seasoned veteran who can lead men in battle. A duty officers main duties are to help people with Battle reports like a Councillor. An officer needs to help lower ranked Officers get trained and is expected to attend all training sessions and follow the orders of his commanding officer while improving his/her skill level at the same time. Plus An Officer Can Now Have Leader Post Like Dept CO or Squad CO. Junior Officers have a good foundation for the game he/she plays and is expected to follow the orders of superior officers. Junior Officers Can Have XO Position so they can assume Command of a Squadron. The Federation Command Order is awarded to officers who have gone above and beyond the call of duty. This officer has assisted FC greatly behind the scenes, and can only be awarded by the Council. The Special Operation Ribbon is Awarded to an Officer who Accomplished a Special Mission ordered by Council in Time Of War and has an outstanding war record. This Ribbon is Awarded to an excellent member of the Diplomacy team who made his mark by making some good diplomatic acts for the fleet. The Good Conduct Ribbon is awarded to an Good Officer who followed orders with success and serves FC with loyalty and is a role model to all new members and tries to help them. Federation Command Merit Ribbon is awarded to an excellent officer who proved his determination to help the Fleet and sacrificed his free time to achieve his duty. Awarded to any outstanding security officer who has protected FC with his best capabilities. A Intel member could get this ribbon. Awarded only by the Judge Advocate General of FC to a member of the JAG department due to his outstanding service in the Department. The Scout Leader ribbon is awarded to a new member to his game who wants to get better, but isn't yet very skilled yet but is eager to learn. This Leader Ribbon is the 2nd of 4 steps. The member who gets awarded this ribbon is a pretty good player and officer. This Ribbon is awarded to a excellent Player who has posted many Battle reports and is always willing train new players. This officer can lead men into battle and is able to hold his own in the battlefield. This Award is given to a player that can be considered to be elite at his game, and is a person who can lead an entire war and division without a problem at hand. He offers his free time to train other lesser players and can improve them. Awarded to an Elite player and Excellent Officer. Who earns more than the Elite Player Award. He isn't only a good player but has also done much for his game. This award is only given once and only to a true veteran. Awarded to a officer who has shown his dedication to FC and its officers. This officer has offered his time and gaming to help out FC many times and truly has given a piece of his soul to FC. This is an Special Medal Awarded by Council ONLY to a member who fought for his Clan in time of war and has brought many victories to FC which were decisive. This Award is given only to a good High ranked member of Federation Command. This Award represents the respect of the Fleet Admiral for this person. this person is a all-round role model for the Fleet and is a hard and loyal worker.